process the crude oil is refined into many different liquids, or fractions, each having distinct characteristics. Some are very light and are used as fuel, whilst others are heavier and are used as lubricants (motor oil, gear lube, grease). There are many compounds in crude oil which are undesirable in lubricants. Many of these compounds are still present in the refined product, detracting from the physical properties of that lube. For instance, paraffinnic waxes are present in crude-based oil, but contribute nothing to the lubrication properties of oil. Also, the size of the hydrocarbon molecules themselves are non-uniform in crude-based oils. In contrast, full synthetic motor oil, such as that engineered by Habot Synthetic lubricants, is not distilled from crude oil but is produced through a chemical process known as the Fischer-Tropsch process, starting with raw materials like methane, carbon monoxide, and carbon dioxide. Therefore synthetic oil contains none of the contaminants found in petroleum based lubricants and the hydrocarbon molecules are very uniform, giving the synthetic base oil superior mechanical properties at extreme high and low temperature. API classification of synthetic motor oil. 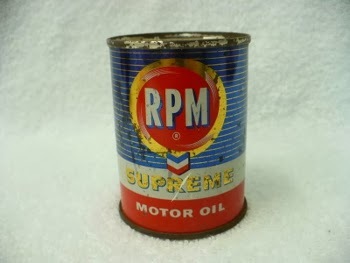 Synthetic motor oil is derived from base stocks. That is, a generic oil base is modified with additives to produce a lubricant with the desired properties. A base stock oil with no additives would not perform very well. Base stocks are classified by the American Petroleum Institute (API) and fall into one of five base oil groups. Group III - this is a highly refined mineral oil made through a process called hydrocracking. In North America this group is considered a synthetic oil, for marketing purposes. Group IV - these are true synthetic oils, known as Polyalphaolefin (PAO). Group V - these are synthetic stocks other than PAO's and include esters and other compounds. Physical properties of synthetic motor oil. All oils behave differently at different temperatures. As temperatures drop, the hydrocarbon molecules in mineral oils start to line up and stick together. This causes the viscosity of the oil to increase, which makes it harder for it to lubricate an engine. At high temperatures, the opposite happens and the oil's viscosity decreases, making it less effective at protecting moving parts. Additives known as Viscosity Improvers are added to combat this. Unfortunately, viscosity improvers break down when exposed to heat and mechanical shearing, so oils that use a lot of viscosity improvers don't last very long. This is where synthetics have an advantage. The branched-chain structure of synthetic motor oils naturally resist changes in viscosity with temperature. Therefore, true synthetic oils often don't need any viscosity improvers at all! This is one reason synthetic oils last so much longer than non-synthetics. The physical property used to quantify an oil's resistance to viscosity change with temperature is known as the Viscosity Index (VI). The higher the VI, the more resistant to viscosity change the oil is. The Pour Point is the lowest temperature at which the oil can still be poured out of a container. Non-synthetic oils can be so thick at low temperatures that they will not even pour out of the bottle! Synthetics generally retain pourability at any temperature you are likely to encounter in the physical world. Flash point is the temperature at which the vapor of the oil will start to combust, but not continue to burn when mixed with air. Synthetic motor oils have much higher flash points than non-synthetics. Total Base Number (TBN) is a measure of the oil's alkalinity. Alkalinity in an oil is important because the combustion process produces acids which can attack metals and other materials in an engine, increasing wear. Over time and use, the TBN decreases until finally the oil reaches a point where it can’t absorb any more acids and the acidity of the oil in the engine will start to rise. Most often, it is this depletion of TBN which signals that an oil is 'worn out' and due to be changed. TBN is measured in milligrams of Potassium Hydroxide per gram (mg KOH/g). For petrol applications, TBN is around 7-10, while for diesels it is between 10 and 15 because diesels produce more acids and often go longer between oil changes. This is a test in which the oil is heated to a temperature of 250 degrees C for one hour, after which the percentage of weight lost by the oil is measured. This indicates the extent to which the lighter-weight fractions of the oil are volatilized and lost to the atmosphere. An oil that volatilizes easily performs poorly because it quickly becomes thick and doesn't reach the far reaches of the engine. In extreme cases the oil turns into a sludge and catastrophic engine damage occurs. Noack Volatility is expressed as a percentage, so lower numbers are better. A good synthetic engine oil has volatility numbers under 10 percent or so. Conventional oils have Noack volatility numbers as high as 25 percent. Shear stability is an expression of how well the oil stands up to mechanical shear loads. In an internal combustion engine, oil is subjected to extreme shear loads as parts slide past each other. Oils with poor shear stability will 'shear out' and lose viscosity. Synthetic motor oils have far superior shear stability compared to conventional oils. Most oils used in automotive and truck applications are Multi-grade oils. This is indicated by the familiar nomenclature like 10W-30 or 10W-40. The second number (30, 40, etc) is the nominal viscosity of the oil at 100 degrees C.
Thus, a 10W-30 behaves the same as a straight 30 weight oil when it is hot. The first number is the Winter weight of the oil. It indicates how the oil behaves when cold. '10W' indicates than the oil behaves as a straight SAE 10 weight oil, when cold. As previously noted, non-synthetic oils achieve this behavior with VI additives. Synthetic motor oils can easily achieve 5W or even 0W ratings with no viscosity improvers added. The bottom line is that synthetic oils pump better then non-synthetics when cold. In extremely cold climates a 0W-30 synthetic oil can be very beneficial. More and more new engines use lighter oils, like 5W-20, to achieve higher fuel efficiency. Ford, Honda, and Toyota are using these oil weights in all their newer cars, and more will follow suit as fuel efficiency standards continue to be tightened. 0W-20 oils are also starting to hit the market. Most cars on the road, though, use something in the 5W-30 to 10W-40 range. So that is what synthetic motor oil is, and why a quality synthetic oil is superior to regular engine oil several key performance areas.